You are here : Home > Posts > Interviews > Saint Petersburg? Wow! Minna Ohtamaa, journalist and Finnish language teacher from Finland, spent four months in St. Petersburg to study at a university for a semester. 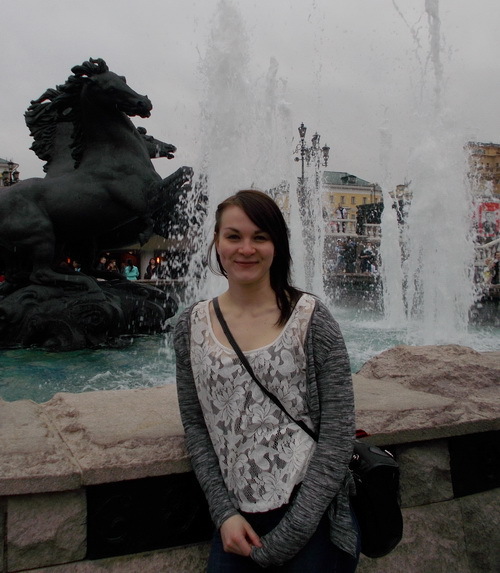 Being in Russia for the first time, she was surprised to discover that St. Petersburg took much from her Motherland. What are your impressions of the city in general? How could Saint Petersburg be compared to other cities you’ve been to? At the very first moment I thought wow, this city looks really Soviet – in a good way. Maybe it was because of the weather: it was really gray and rainy, just like in old Soviet movies. And maybe I got the impression because at first I arrived in Primorskaya subway station, some kind of suburb on Vasilievsky Island. There are huge, old Soviet style buildings there, so the impression was really strong. I’m from Finland, so, of course, SPb is way bigger than any city in my home country. It looked big and fascinating, it was full of basts, full of people, full of life. In the beginning I also learned that SPb is really beautiful: there are thousands amazing buildings, parks and places to visit. Which museums, theaters, palaces did you visit? Which attractions would you recommend? Of course, I visited all tourist places, like Hermitage, Russian Museum, Peterhof, Kazan Cathedral etc., and I warmly recommend all those places. However, my favorite places in SPb are all little restaurants, cafes and pubs. I also just love, love Valsilievsky Island: there are so cool places, nice and cheap bars and, of course, Erarta Museum of Contemporary Art. I also like so called time cafes (or, in other words, anticafes): they are cafes where you pay for time, not for products. St. Petersburg is the most Finnish city in Russia. Did you feel here the closeness to your Motherland? And did it help? There are a lot of Finnish products and shops in St. Petersburg, and that was really nice – although I don’t think it helped me in any way. It was nice to spot Finnish shops on the streets, but, after all, Finland and Russia are quite different. What would you say about tourist services in St. Petersburg? Is there enough information available in the city or not? Were people, you contacted to, kind enough? I think there is not enough information available if you want to see non-tourist side of the city. If you want to visit Hermitage, Peterhof or Blood Church, you can always find information in many languages. I was really lucky to live in SPb, because I got to know local people who introduced places I couldn not have found without them. People were always nice if I asked help. Russian customer service is not always that friendly, though. Find a Russian who speaks English. Drink vodka with him or her or them. Enjoy. In my opinion, the best way to know a new city is to hang out with people who know the city (and we can definitely confirm, though drinking too much vodka may cause some harm – St.Petersburg Travel Guide). In your eyes, are these White Nights really so wonderful as the Russians themselves claim in every tourist guide? Well, I’m from Finland. We have THE wonderful White Nights 😉 So nothing new to me. What do you generally remember of your stay in St. Petersburg? Were there some highlights? Did anything funny or interesting happen here to you? I don’t remember anything generally special, I just remember the atmosphere. 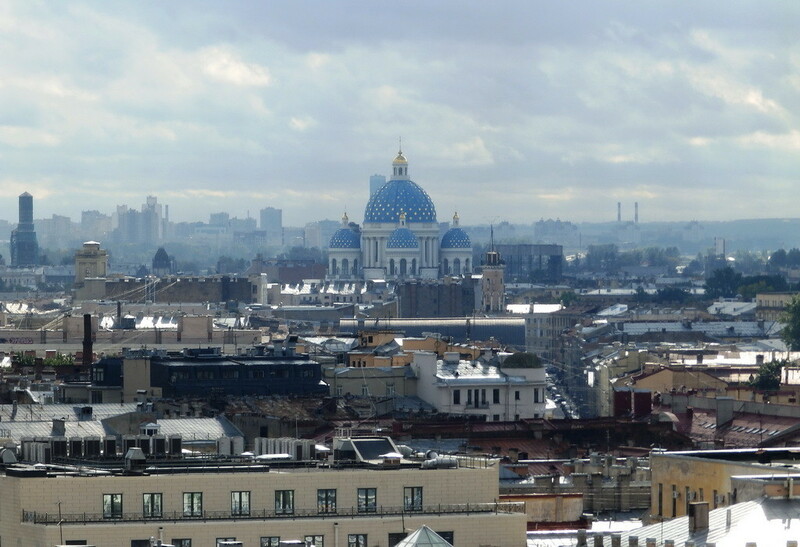 I really enjoyed my time there: there are so many possibilities and options in SPB. I loved all those little moments: laughing with my friends in a stolovaja, lonely walks on the streets of Petersburg, beautiful buildings and canals, parties at CCCP (=USSR, a local bar near metro station Primorskaya), subway stations, pelmenis… SPb is crazy in a good way. How safe did you feel in St. Petersburg? Very safe. Nothing bad happened to me and I felt safe even in the middle of the night. Of course, SPb is a big city, so it’s wise to keep an good eye of your belongings. Two “Russias” in your mind – before your coming here and now – are two quite different countries? Or the difference between the image and the reality wasn’t that big? I have to say Russia was as exciting country as I expected before I moved there. I had many stereotypes in my head and plenty of them turned out to be true. For example, food, vodka and that funny Russian mentality when nothing works out but everything can be arranged. However, I also found a more European and more laid-back city than I first assumed.